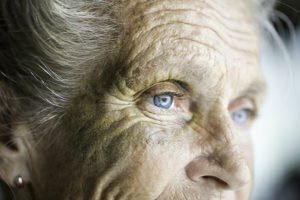 Of the many changes that occur in aging, increased bruising is one that can be frightening for family members to notice in their senior loved ones. While it’s important to check with the senior’s doctor whenever there’s a concern with his or her health, it’s also helpful to know that bruising in older adults is quite common, resulting from the thinning of the skin and reduction in fat experienced in aging. Even a slight bump or scrape can lead to much more extensive bruising than in younger skin. Perform a safety assessment of the home, ensuring there are clear, wide walking paths with stumbling/tripping/bumping hazards removed. Hired Hands Homecare can help evaluate the senior’s home for safety hazards as well. Encourage the senior to wear long sleeves and pants whenever performing tasks that could result in injury to the skin. If the senior smokes, help him or her to quit. Smoking decreases collagen production, which can lead to easier bruising. Ensure that the senior’s diet includes plenty of vitamin C, which plays an important role in the production of collagen. Apply a cold compress to the bruise for 20 minutes to reduce the blood flow to the area. This can reduce the size of the bruise and decrease inflammation. Keep the bruised area elevated if possible. Wrapping the area with a compression bandage can help decrease swelling. Be sure the senior receives immediate medical attention for any bruising that appears for no reason, especially if a new medication has been taken or bleeding is noticed in other parts of the body, such as the nose or gums. Contact Hired Hands Homecare at (866) 940-4343 for more skin care tips for older adults and professional in-home care assistance.